My name is Laura Ravinskiene, I am writing you from Lithuania. Me and my husband's skin is dry. I had "chicken skin" in my childhood, but after my pregnancies it is gone. So we have three children and their skin is quite dry too. But the biggest problem is with my oldest daughter. Since 3 years old she has "chicken skin" on outer sides of the upper arms, on the thighs and tops of legs and on her cheeks. But it was not very visible. 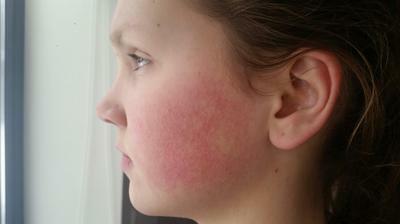 Now she is 13 years old, and her skin condition is getting worse, especially on the face. Her menstrual cycle has not begun yet. So our dermatologist found, that it is keratosis pilaris, and recommended for us to use products with Urea. The problem is, that I couldn't find high quality natural products in Lithuania. As for me, I've been working with professional cosmetics for many years, I was manager of Pevonia brand from USA and now I'm on maternity with my 1 year old son. So I really understand about cosmetics ingredients. But first of all I want to ask your professional opinion about my daughter skin condition, what products do you recommend to use for body and face? Could she take Green PowerHouse "Plus" too? Thank you for your answer and opinion in advance. 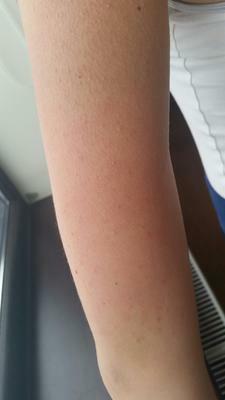 Comments for Keratosis Pilaris. Help us!!! Response to: Keratosis Pilaris. Help us!!! 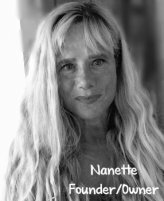 Many skin tendencies can be passed on to our children and from the pictures you shared the appearance of your daughter's skin certainly resembles that of Keratosis Pilaris. For our website viewers let me first explain that Keratosis pilaris is a very common genetic condition and is manifested by the appearance of rough bumps or papules on the skin, hence referred to as chicken skin. People suffering from these symptoms find that they most often appear on the back and outer sides of the upper arms (though the lower arms can also be affected), and can also occur on the thighs and tops of legs, flanks, buttocks, or any body part including the facial area. Excess skin forms around individual hair follicles, creating the characteristic minute, rough, grater-like bumps. Keratosis pilaris affects almost 50% of the world's population and is particularly likely to affect anyone prone to eczema. Many teens or people experiencing hormonal changes or imbalances can also show signs of these symptoms which is most likely why your daughter's symptoms are more prominent now at the age of 13. Since our signature products all contain the very important ingredient, urea, they all help to unpack dry damaged cells, release excess sebum and restore moisture and balance to the skin layers. In order for urea to truly work it must be blended with other health building ingredients as they work synergistically together. First I recommend your daughter wash with our All Over Face & Body Wash and this would include using it on the face and body. Next for the facial area have her apply our Face & Neck TheraCream and for the body area have her apply our My Daughter's Hand & Body TheraCream twice daily. She may also use our Double Strength TheraCream for night time use on her arms and legs. 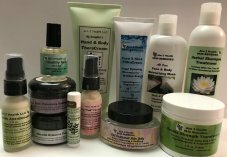 These products are also what the rest of your family can use for their dry skin. As far as the Green PowerHouse Plus for your daughter, although it is a completely natural product, anyone under 18 years old we would recommend showing the ingredients to an attending physician to be sure that none of the many natural ingredients would conflict with their growing bodies. And thank you for wanting to spread the word with your dermatologists in Lithuania as it is always our passion to help people across this great earth of ours. Please keep me posted on your daughter Laura.